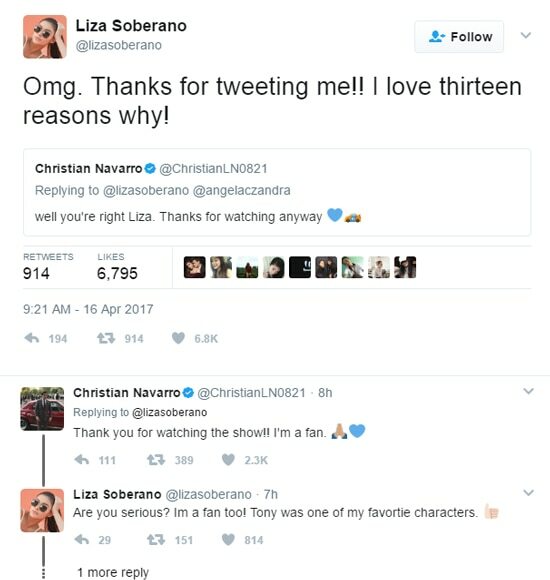 Liza Soberano expressed her joy on Twitter when she received a tweet from “13 Reasons Why” star Christian Navarro. 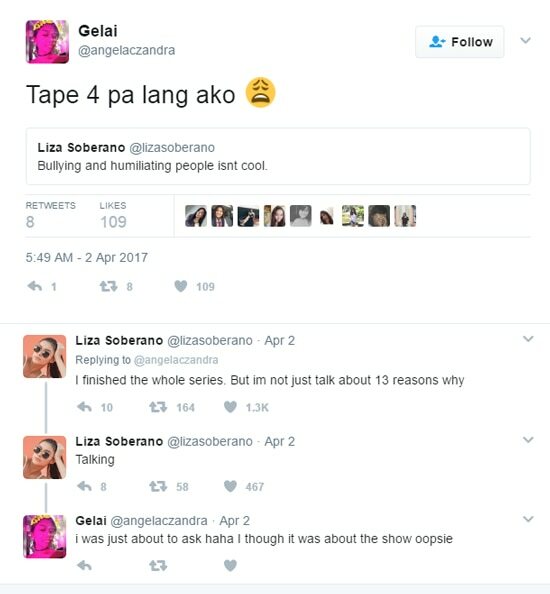 Previously, Liza tweeted about how bullying is not cool and she mentioned she already finished the whole series. 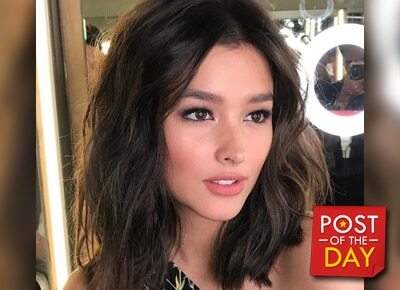 “Well you're right Liza. 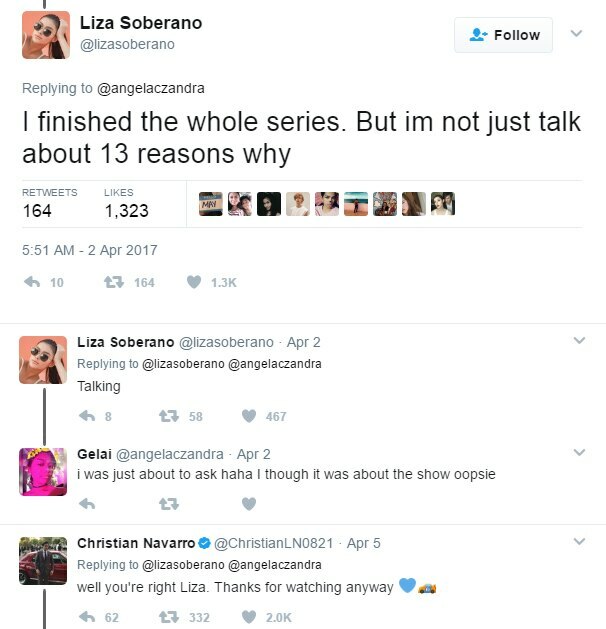 Thanks for watching anyway,” Christian wrote. 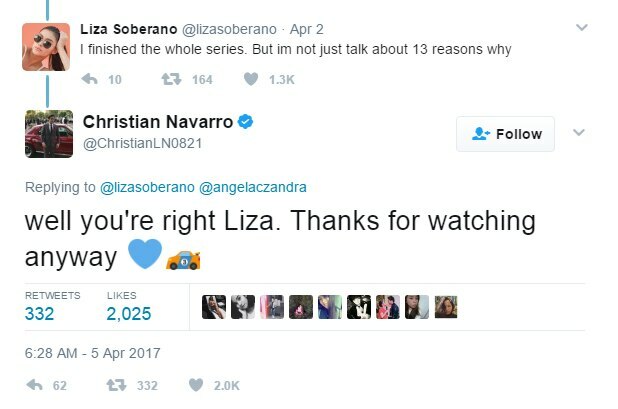 Christian portrays the role of Tony in the series.